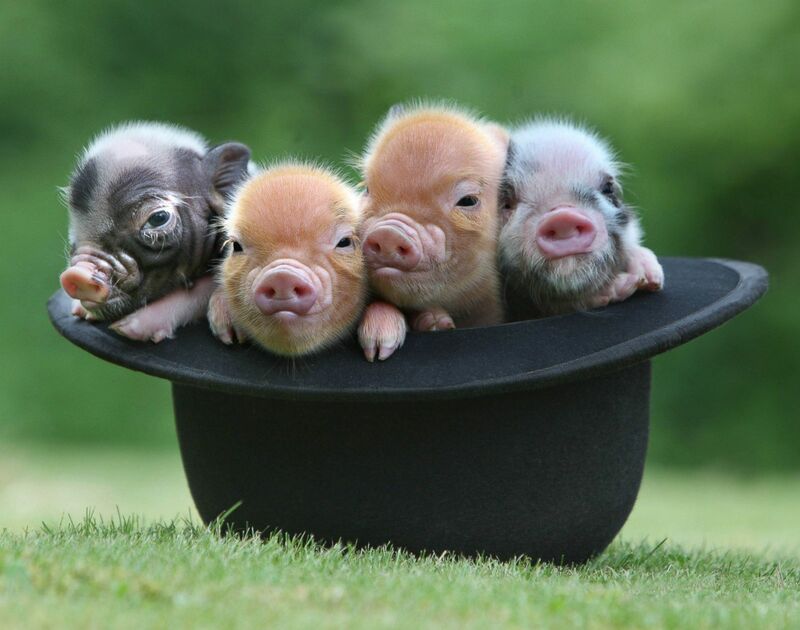 Tea Cup Pigs, Yay or Nay? Okay, I’ll be the first to admit that tea cup piglets are amazing. I will also admit that it is my goal in life to own one, but I wanted to know more about how they were genetically modified. In China, a group of scientists have discovered a way to genetically create real pygmy pigs. Now, they are not new to the world, but unfortunaltey most pygmy pigs are runts of litters or suffer from having the dwarfism gene. With this new genome sequencing technique, actual tea cup pigs that will forever stay little are becoming big. Scientists stunted the growth of male genes by using enzymes called transcription activator-like effector nucleases. After doing this, they had the male pig reproduce with a genetically normal female.This made sure that only half of the babies born wold be genetically modified, while the rest stayed normal pigs. “The team chose this method in order to dodge the potential health hazards involved with cloning,” says the article. Now, these pigs are not only being made for the demanding public. They are also being produced to become the subjects for many tests. “pigs are one of the better models for human diseases,” and they are also much smaller which makes handling them in labs so much easier to do. However, now that they can make these perfect pygmy pigs, they are selling them for high costs to people all over the world. It Might Be Alright Though! So far, these pigs have shown no sign of having any health risks. The scientists also believe that in the near future, buyers will be able to choose the color they want their new baby. And while others agree with the claims that it is unethical, others believe that it is the same as breeding two different animals together. They are creating genetically modified and changed offspring. What is the difference? Tell me what you think about pygmy pigs? Is this wrong to do, or is it ethical and simultaneously giving the public what it wants? These are just normal piglets, as I had a hard time finding a good pic of a newly genetically modified one. This entry was posted in Uncategorized on December 4, 2015 by Alexandra D Hayward. I agree that there could be a potential for risks further down the road, but right now there arent any. I think that if there is too much reproducing of these pygmy pigs, there will have to be some sort of consequence that ultimately hurts pigs. Your post was very interesting and I enjoyed to hear about this new gene science that are creating pigs that stay little forever. Similar to what the other commenters said I also heard about the scandal that people thought they were buying tea cup pigs when they were really buying normal pigs and to their surprise they grew to be huge. On another note, I am totally against the gene testing to create pygmy pigs because I believe scientists cannot form life only nature can and by doing so they are going against the natural order of life so there will most likely be consequences. Its similar to another controversial issue of people getting to find out if they have the breast cancer gene. Some people are extremely for it but others believe life should take its own course without the interference of science. In the article below they go more in-depth about the breast cancer testing. Your post reminded me of an article I read a little while ago that brought to light another issue with tea cup pigs. Throughout the past couple of decades, there have been a couple miniature pig crazes. These tiny pigs would become so in-demand that an abnormal amount of people began purchasing them. The problem was that many of these people were getting scammed. What they believed to be miniature pigs were instead real pigs that just babies. What happens when you give a bunch of people expecting miniature pigs, baby pigs? A ton of big pigs looking for homes. As the animals started to grow, people were both unwilling and unable to care for them and so the rise in pigs being given to animal rescues skyrocketed. Sue Parkinson of Lil’ Orphan Hammies in California has saved over 1,000 pigs in the past 20 years and receives over 20 calls a day resulting from this issue.